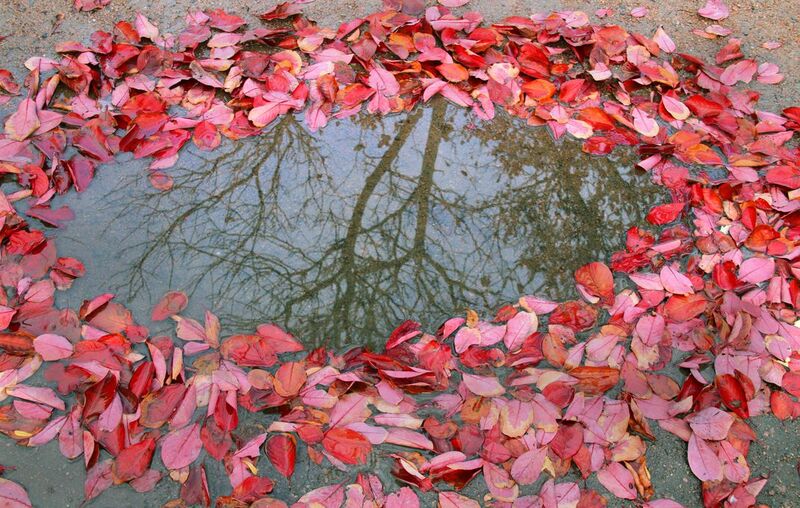 After an autumn rain, fallen leaves were put together by wind forming a cycle. There is some rainwater left on the ground. The tree reflected on the water as a beautiful natural mirror.